Since this is the monthly motoring issue BTN thought it a good idea to reproduce, with minor alterations, a recent piece (28 August) by consumer publication WHICH, written by Callum Tennent. 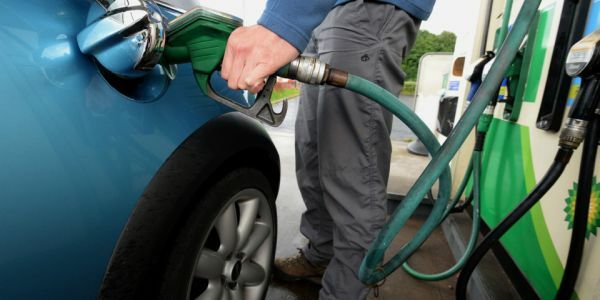 "The Department for Transport (DfT) has launched a consultation on its proposal for the UK’s larger forecourts to begin selling E10 petrol, a cleaner fuel, in order to meet climate change targets. However, research has shown that as many as 634,309 petrol cars currently on the road will be incompatible with it. E10 petrol contains 10% bioethanol, a type of renewable fuel, to reduce carbon when burned – that’s twice the amount of the 5% maximum currently found in the petrol at your local pumps. It’s currently available across most of the European Union, as well as the US and Australia, and the vast majority of vehicles in use today are approved to be fuelled with it. However, older models are at risk of incompatibility. A study by the RAC Foundation has compiled a top 10 list of the most popular models set to be affected by 2020. We contacted an RAC representative for clarification on which specific years of the models listed above will be affected and are awaiting response. What will happen if your car is incompatible with new, cleaner fuels? Fortunately for affected owners, the DfT is proposing that the larger fuel stations that will be stocking E10 will also have to maintain a complement of the older E5 grade petrol so that owners of older vehicles aren’t left behind. “While some of the cars incompatible with E10 fuel will be historic models, many will be old but serviceable everyday runarounds that people on a tight travel budget rely on to get about. “The good news is both that the vast majority of cars on our roads are able to run on E10 and that Transport Secretary, Chris Grayling, has recognised the need to protect the users of those older vehicles which are not E10 compatible. A DfT spokesperson said: ‘This government is ambitiously seeking to reduce the UK’s reliance on imported fossils fuels and cut carbon emissions from transport. But drivers of older vehicles should not be hit hard in the pocket as a result. Diesel cars are often in the news for their NOx (oxides of nitrogen) emissions. The WHICH tests have also found that many petrol cars spew out vast amounts of carbon monoxide. Not to be confused with carbon dioxide (CO2), carbon monoxide (CO) is a poisonous gas that is limited by European emissions laws. In our own tests, which differ from official tests, one in five petrol cars produced more CO than any official limit set in the last 25 years – and that includes several hybrid models. The WHICH report concludes with a challenge to motorists and suggest that readers go to its guide on the cars that produce the most and least CO.